Authentic recipes | Retired? No one told me! This entry was posted in Carol's Cookery column on Smorgasbord, Cooking from scratch, Healthy Eating, Recipes, Sally at Smorgasbord Health 2018, Uncategorized, Vitamin B3 and tagged Authentic recipes, cooked from scratch with Sally and Carol, Fruit Crumble, Lemon Chicken, Peanut butter recipe, Thai mushroom larb, Vitamin B3 on April 3, 2019 by CarolCooks2. Welcome to this week in my kitchen …Our high season is here which means it is very hot in the kitchen so methinks it is time to dust off the BBQ and cook in my second kitchen which has doors at either end and is more open so if there is a breeze when it blows through so much cooler. Jackfruit is also becoming a popular alternative to meat for vegans, vegetarians and anyone wanting to adopt a healthier lifestyle as when cooked the texture is similar to pulled pork. When ripe jackfruit is eaten as a fruit but unripe jackfruit is prepared as a vegetable. Young jackfruit is used in stews or curries, boiled, roasted; or fried and eaten as a snack. The seeds can also be eaten as a snack after being boiled and then roasted. Spicy jackfruit salad which in Thai is called Tam Khanun or Tam banun it is made by pounding boiled jackfruit with chilli paste and then stir-frying. 100 gm minced pork (optional) if vegetarian or vegan. 10 Cherry tomatoes cut in quarters. Heat a little oil in a pan and fry the garlic until it is nicely browned add the chilli paste and stir-fry for a minute. Add the minced pork ( if using) and stir-fry until it is cooked 3-4 minutes stirring frequently. Add the tomatoes and the jackfruit stir-fry to combine well add the kaffir lime leaves and remove from the heat. 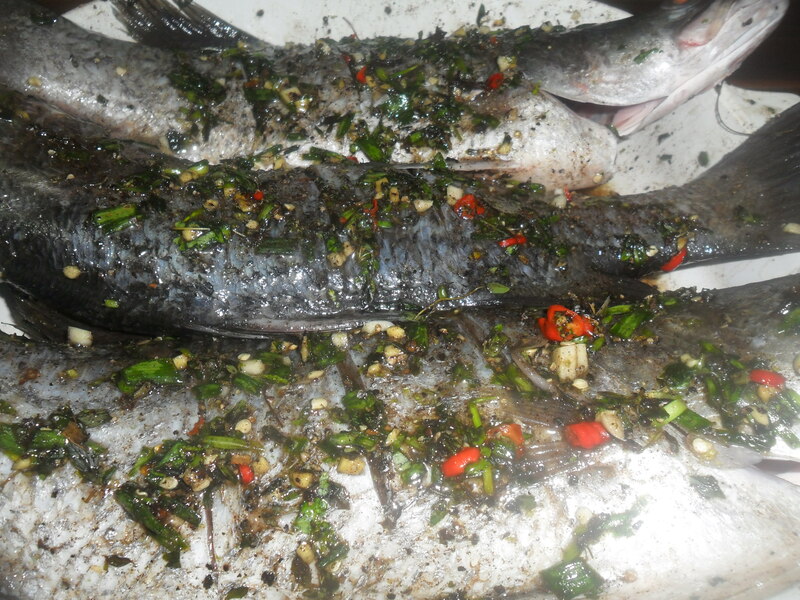 Serve with sticky rice and the fried garlic, chillies, spring onions and coriander as garnish. The first time I made this dish… We were very pleasantly surprised if I hadn’t cooked it and it was put in front of me I would never have known it was Jackfruit…Truly ☺ What do you think?? Tam Kanun Spicy Jackfruit Salad… we all loved it and I would definitely make it again. The ripe Jackfruit arils (pictured) below are eaten here with sticky rice just pushed into the centre. Sourdough…Update I am feeding it twice daily and it is definitely a lot livelier so we may (fingers crossed) get our first loaf this weekend…What am I going to call it after giving me so much trouble either Matilda or Phoenix ( Sally’s ) suggestion…What do you think??? Last week on my trip to the market I bought the lovely Majong fruit which is now in season, green mango, lots of herbs and some fish, Passionfruit is abundant at the moment but I gave that a miss the apples are very nice at the moment nice and crisp and a little bit tart…I also picked my cheese up and a lovely piece of blue cheese which was new in…I have had to be very strict with myself as it needs to last and it is a large 750 gm piece which means I can do some cooking with it. This week’s Curry:- Jerk Fish. Does Jerk Fish count? 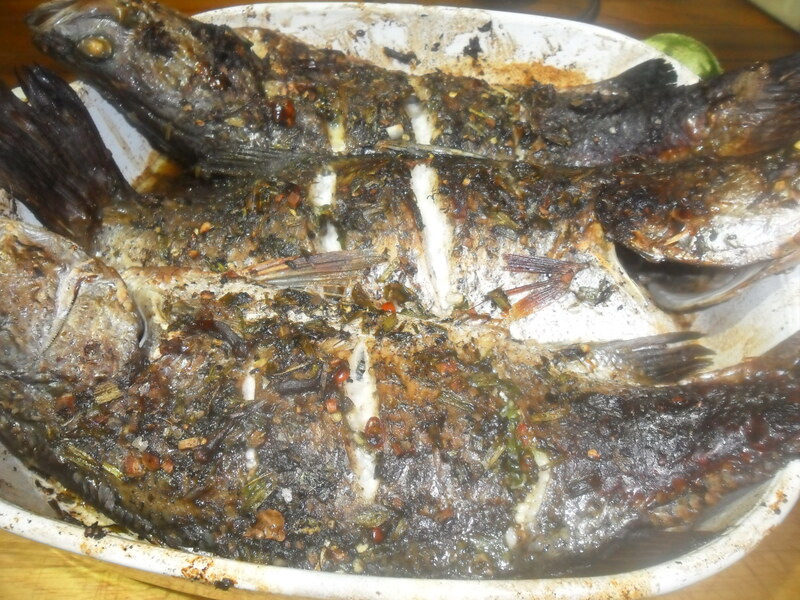 Well, it has some heat and as fish is quite abundant at the moment here goes I hope you enjoy as much as we did…spicy, spicy skin but the fish, sweet and lovely. I tbsp Allspice berries or ground allspice. 1 large pinch ground cloves. Few sprigs Thyme picked and chopped. Few sprigs fresh coriander chopped. 3-6 birds eye chillies finely chopped. 2 clove garlic finely chopped. Slash fish 3 times across diagonally and put in oven proof dish and put on one side. Pound allspice, peppercorns and bay leaves together. Mix in cloves, sugar and honey. Add herbs, chillies, garlic, ginger and bash together. Tip into a jug and add chopped tops of spring onions, lime zest, a drizzle of oil, a pinch of salt and the rum if using. Mix well. Leave in fridge to Marinade for at least one hour. Pre-heat oven to 220 degrees or gas 7. Cook for 20-30 minutes until slightly charred and cooked. Serve with Lime slices, Salsa and rice or new potatoes. This marinade can be used with Chicken or Pork. We are waiting for little Lily to come it is her weekend and then next week she is coming to stay for two months or so she tells me as the schools here have their long holiday during the high season…Happy Days…. This entry was posted in Authentic recipes, Banana bread, CarolCooks2...In my kitchen, Down on the farm, Uncategorized and tagged Authentic recipes, Banana bread, Jack fruit salad, Jackfruit, Jerk Fish, Passionfruit butter, Tam Kanun, Vegan recipe on March 8, 2019 by CarolCooks2. This entry was posted in carol and Sally health and recipes, Carol Cooks2, Carol's Cookery Column at Smorgasbord Magazine, Cooking from scratch, Cooking from scratch with Sally and Carol, Uncategorized, Viatamin deficiency B1 and tagged Authentic recipes, Carol Cooks 2, Cook from scratch with Sally and Carol, Healthy Eating, Vitamin B1, Vitamin B1 deficiency recipes on March 6, 2019 by CarolCooks2. How to cook the perfect Sunday Roast. Potatoes…Who doesn’t love a nice golden, crispy potato with a soft fluffy inside? But they all have different cooking times and methods …Getting them all perfect and ready at the same time is no mean feat. If Yorkshire (puddings) come into the equation then…That can throw a spanner in the works…They should be well risen and golden… Flat and stodgy doesn’t cut it! This entry was posted in Authentic recipes, Carol Cooks2, Carol's Cookery Column at Smorgasbord Magazine, Cook from scratch, Roast Pork, roast potatoes, Sunday Roast Dinner, Uncategorized and tagged Authentic recipes, Carol Cooks 2, Carol's Cookery Column, Cook from scratch, Home Made Gravy, Pork Crackling, roast potatoes, Sunday Roast, Yorkshire Puddings on February 27, 2019 by CarolCooks2. 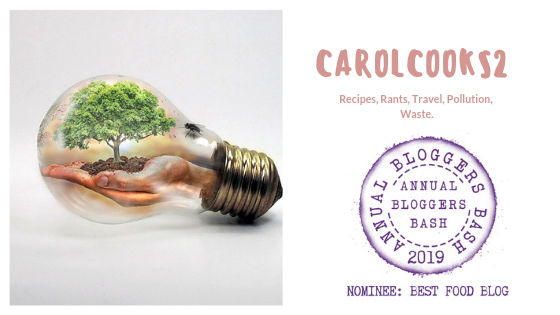 This entry was posted in CarolCooks2, Uncategorized, Winter Warmers stews and casseroles and tagged Authentic recipes, Beef Bourguignon, Carol Cooks 2, Carol Taylors Food Column, chicken chasseur, Healthy Eating, Prawn and asparagus stir fry, Rabbit Stew on February 6, 2019 by CarolCooks2. 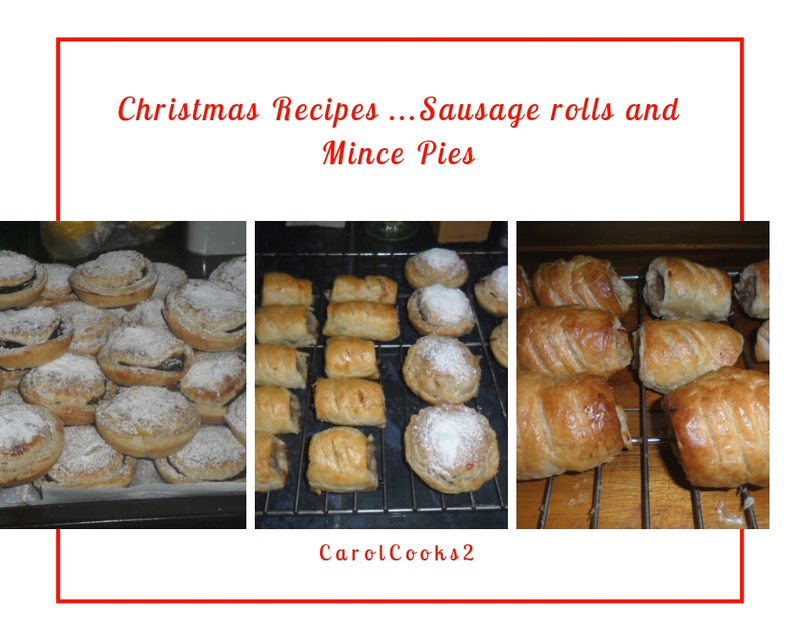 Christmas Recipes…Mince Pies and Sausage Rolls. I always get my mince pies and sausage rolls made and store in the freezer uncooked and just take them out as required. I use half fat to flour so for example 8 oz Flour and 4 oz fat. 1 egg beaten for the glaze. I know that fat varies depending on where you live, in the Uk ..well spoilt for choice because we invented pastry…well from as far back as the Romans when it was crude flour and water wrapped around meat and game before cooking and no way would you eat it…it was to retain meat juices. Over time pastry was enriched with fat and milk and began to vaguely resemble today’s shortcrust. But living here in Thailand my choice is restricted…..I have a choice of pastry fat or Crispo…sometimes I mix the two when making meat pies but I digress. 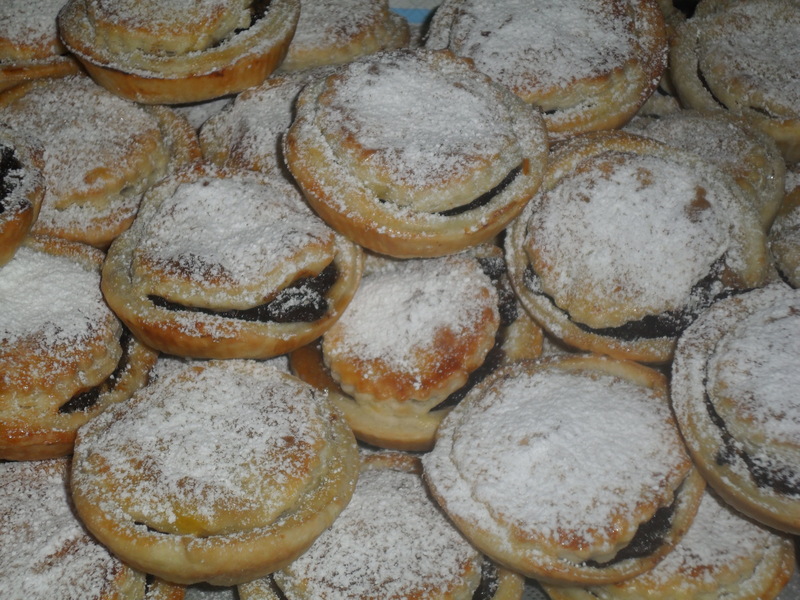 For mince pies, I use the pastry fat. When making pastry it must be kept cool which here is never easy ..so fat from the fridge, iced water from the fridge and fan madly whirring to keep the air cool..and me folks…I touch the pastry mix as little as possible, I quickly rub the fat into flour to resemble breadcrumbs, add iced water gradually, draw together with your fingers to make a ball, if too dry add more water, wrap in cling film and chill for at least 20 mins in the fridge. When I roll I use the heel of my hand to start to flatten pastry and roll gently out to desired thickness…I handle as little as possible to keep the pastry cool. Using a pastry cutter, cut circles and line patty tins, add filling and top with a pastry lid. Brush tops with beaten egg. Cook in the oven on 200c/gas7 for 15-20 mins until golden. Remove from oven, cool slightly and dust with icing sugar. Note: Some of you may have noticed I don’t add sugar to my shortcrust pastry…With the sweetness of the filling and the icing dusting, I /we all feel it is sugar overload but personal preference if you like to add 1 tbsp sugar to breadcrumbs before adding water. Now….if you make them now omit the cooking stage and freeze uncooked in a sealed container separate the layers with greaseproof paper and just take out however many you want as needed and cook…Simples! For sausage rolls, I use the same pastry. I add finely chopped onions, garlic and a little sage to my sausage meat or I did in the UK….i can’t get sausage meat here so I make my own very finely chop my pork making sure I add a little of the fat and then add the seasoning as above. 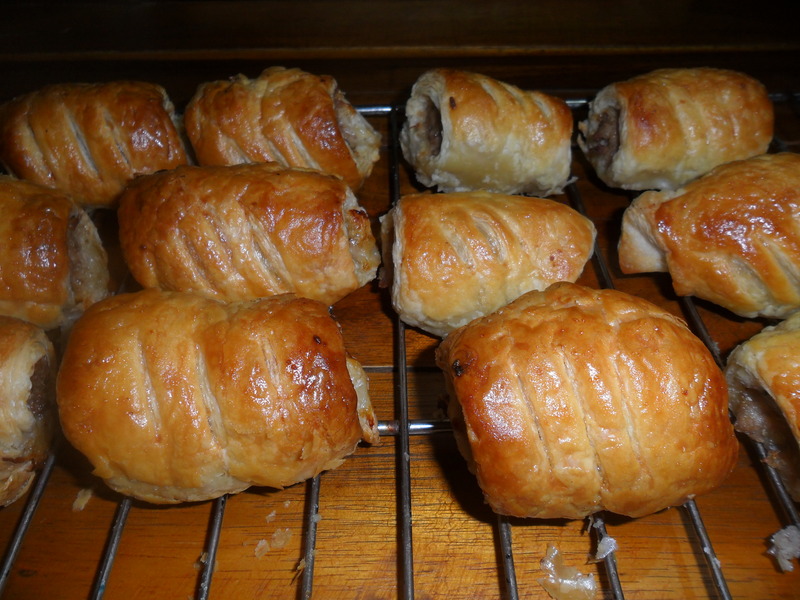 To make the sausage rolls just roll out your pastry take some sausage meat and roll it to form a sausage put the sausage meat on the pastry and roll. Just wet the edge slightly and either use a fork to make some holes in the top or as I do make a couple of slice on the top of the pasty as in the picture.. Cut into equal size pieces and put on a baking tray and then brush the top if the pastry with milk or an egg wash and pop in a preheated oven 200C for 15 mins then reduce the heat to 180C for another 10-15 minutes or until your pastry is golden…It also depends on the size of your sausage rolls. Once cooked put on a cooling rack and then store in a lidded container. 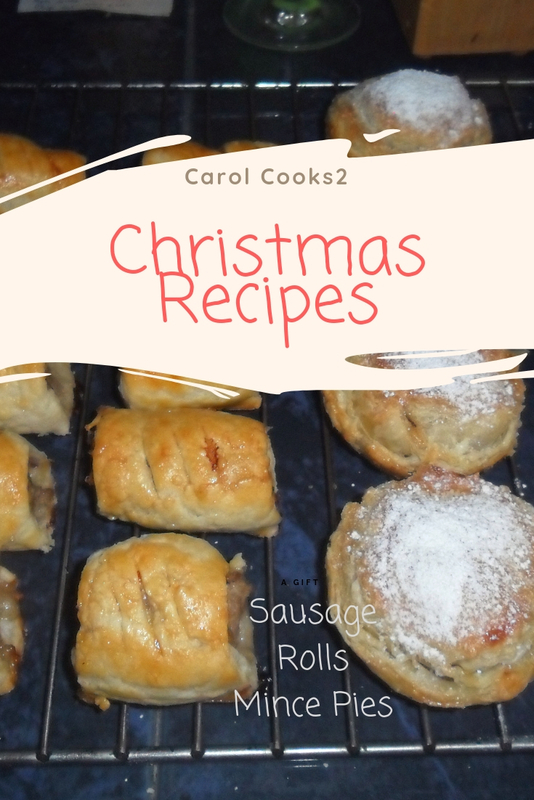 This entry was posted in Cooking from scratch, Recipes, Uncategorized and tagged Authentic recipes, christmas recipes, Cooked from Scratch, Mince Pies, Sausage rolls on December 11, 2018 by CarolCooks2.